More Machinery is a single player and multi-player mod that is designed to make tedious tasks such as laying minecart track or making tunnels a breeze. This mod adds minecarts that lay their own track and even mine their own tunnels, making getting from one place to another faster than ever, possibly even inspiring the setup of a sprawling cart system through the use of this mod. Useful for placing around your area of operation to keep out unwanted intruders. Deals damage to entities on contact. Watch out you don’t accidentally run into it! 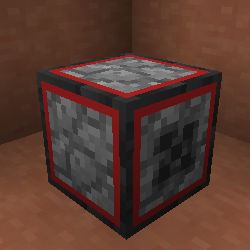 When a redstone signal is sent to it, it will break any block in front of it. 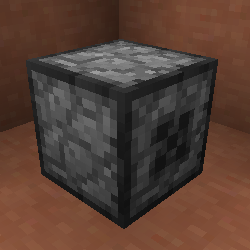 Useful for automating a cobblestone generator. 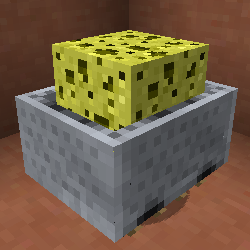 As requested by user ‘jimf14′ this block when loaded with blocks will randomly select a block loaded inside it to place. 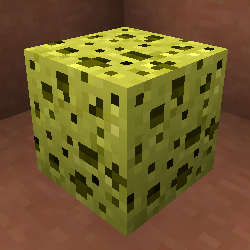 Bug: Don’t place fluids in here, as they will create a block with a missing texture. Break the missing texture to get it out of the way. Currently has no functionality besides as a crafting ingredient. May add functionality later. Automatically places tracks on the ground in front of itself. It will also automatically place track to go up or down slopes. 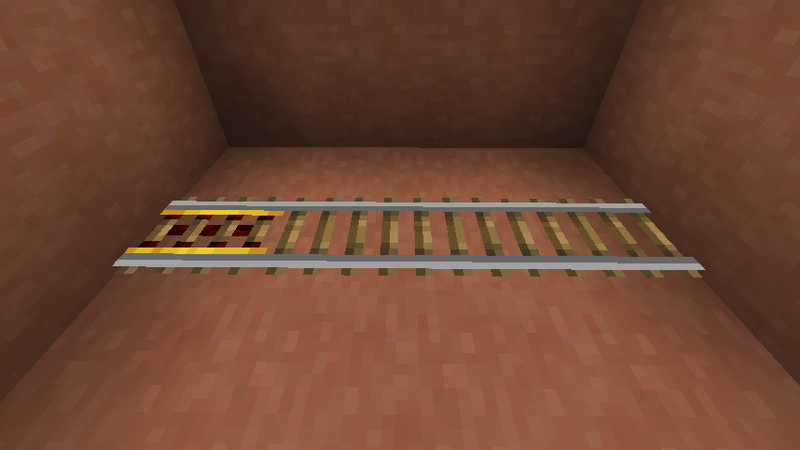 Based on intervals specified by Blueprints placed inside of it, it will place powered rails as well. If no powered rails or no Blueprints are provided, it will only place regular rails. 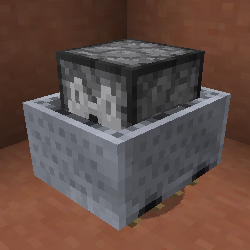 It must be loaded with rails in order for it to be able to place them.New: At the request of user ‘CraftingVegeto’, if loaded with any standard building block (cobblestone, dirt, sandstone, etc. ), instead of placing blocks down an incline, it will build itself a bridge with the provided materials to cross the empty space. Will automatically break any blocks in front of itself and drop them as items and then lay track in the same manner as the track laying cart. Just like the Track laying Cart, if loaded with building material it will build itself a bridge. This cart places redstone torches or redstone blocks to power unpowered placed powered rails. If given a Powering Blueprint (Above), it will try to place a redstone torch one block above the track, and if that fails try to place a redstone block in the same place. 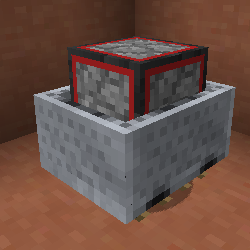 If given a Powering Blueprint (Below) it will try to place a redstone torch two blocks below the track to power it. 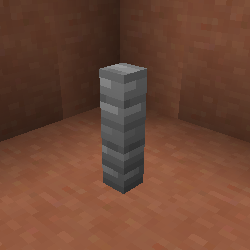 If that fails it will place a redstone block below it. 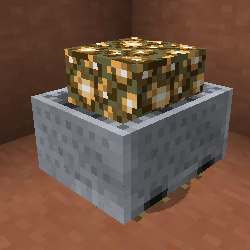 This cart, when loaded with glowstone or torches, will automatically place a torch or glowstone if its detected light level drops below a a certain level (0.25 to be exact, but the number does not scale linearly). It will try to place a torch two above one block above the track, and if that fails it will place a glowstone two blocks above the track. This does not require any blueprints to operate. Will automatically absorb item stacks on the ground and place them in its internal storage for access later. 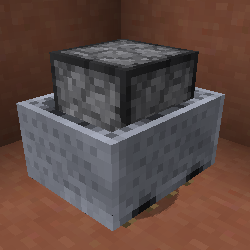 Useful at the end of cart trains to pickup mined blocks. Used to craft Blank Blueprints. First step in crafting Blueprints for placing powered rails. Next step in crafting Blueprints for placing powered rails. Crafted Blueprints are used to control the function of carts in which they are placed. Some are numbered, and this number corresponds to the number of regular rails to be placed between placed power rails for the Track Laying Cart and the Block Breaking and Track Laying Cart. The number of normal rails used in the recipe determines the number of rails between placement of powered rails. These numbers are also additive, so if a 1 space blueprint and a 2 space blueprint are added to the cart, it will place three tracks between powered rails. You do not need to use Blueprints if you do not want to place powered rails. If you want to place only vanilla rails, just load them into the cart and push it on its way. Other Blueprints state where the Track Powering Cart, either one block above or two blocks below the track.